A complex flow diagrem shows audio and video transformations. The primary input is: Stefani Germanotta. 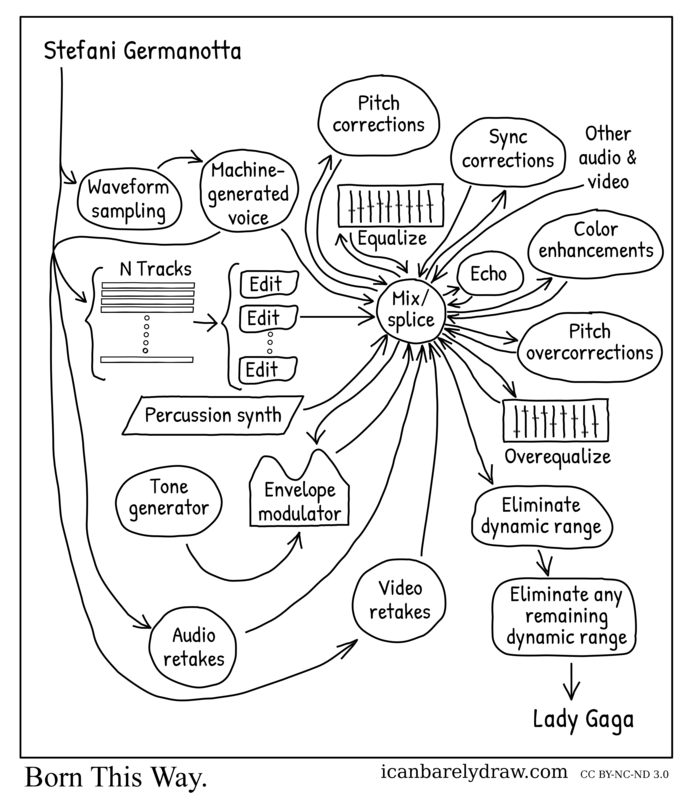 The output is: Lady Gaga. Transformations include: Waveform sampling, Machine-generated voice, Pitch corrections, Edit, Equalize, Mix/splice, Sync corrections, Echo, Color enhancements, Pitch overcorrections, Percussion synth, Tone generator, Envelope modulator, Overequalize, Audio retakes, Video retakes, Eliminate dynamic range, and Eliminate any remaining dynamic range.